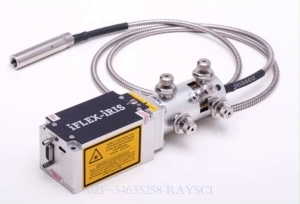 The iFLEX-iRIS is a high performance solid-state laser system. All the smart control electronics and thermoelectric cooling (TEC) are fitted inside this small laser. The design includes automatic closed loop control in CW mode, for excellent long term power stability. Ultra-stable performance is also achieved when the laser is in Modulation mode. This allows you to achieve measurements that are precise and repeatable, day after day. 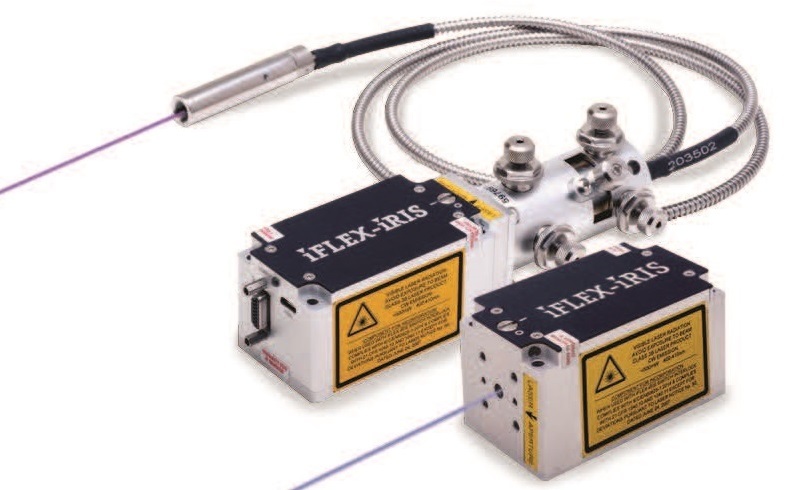 Fiber coupled output: A kineFLEX fiber delivery system is included with the fiber coupled versions of the iFLEX-iRIS laser. This single-mode polarization maintaining fiber optic output reduces beam wander to <1µrad/oC and provides a spatially filtered, near-perfect Gaussian output beam. Collimated and connector output options are available. Easy to Use: All wavelengths in the same compact size with the same control interface. Performance Guarantee: All lasers are manufactured in cleanrooms, in our ISO9001 compliant factory. Each laser is tested before dispatch, and supplied with a certificate of conformance. Qioptiq design and build lasers under the guidelines given in the international telecommunication standard, Telcordia GR468. This high test standard and ongoing reliability program gives our customers confidence in our product reliability. CDRH Compliant: A power supply is required for operation and is sold separately. The iFLEX-iRIS CDRH interlock power supply is required for CDRH compliant systems; and it is also recommended for general laboratory use. An OEM power supply is also available, or the iFLEX-iRIS may be powered and controlled directly through an instrument's power bus. Applications include: metrology, flow cytometry, confocal and laser scanning microscopy, dynamic light scattering, forensics, TIRF, high throughput screening, high-resolution imaging systems, DNA screening, genomics, ophthalmology and more.